Attractions in Monterey - Cannery Row, Monterey Aquarium, and More! Check out some of the fun attractions and events Monterey has to offer. Whether you're looking for golf transportation in Monterery or a day at Cannery Row, Monterery Airbus has it all! When it comes to shopping and dining, Cannery Row simply can't be beat. Or, for more family-oriented adventure, check out Monterey Aquarium's diverse display of fish and other ocean life! From everything from Golf to whale watching, Monterey Airbus can help get you there. Find out more about our sports & golf shuttles in Monterey or things to do in Monterey. Looking for things to do in Monterey Bay? Whether you're searching for beaches, shopping, golfing, or award winning vineyards, Monterey has something for you. Things to do in Monterey include Whale watching, golf, Canary Row, Monterey Bay Aquarium, and wine tastings. Monterey Airbus can help take you anywhere from Big Sur to Pebble Beach to Monterery Church. Want to take all your friends on wine tour? Need a corporate shuttle for a golf outing? 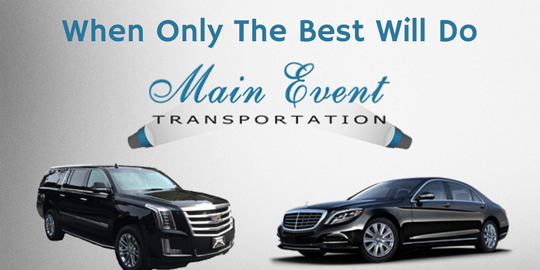 From the AT&T Pro-AM to the Big Sur Marathon to the Concours d'Elegance, we provide affordable and convenient group transportation for any event in Monterery Bay. Monterey Airbus is great at shuttling large groups across Southern California! AT&T Pebble Beach Pro-Am - February - The Pebble Beach golf tournament has been a staple of the PGA Tour since 1947. Our Pebble Beach shuttle makes getting to the links easy. The Pebble Beach Pro-Am is held every February at three different Monterey golf courses: Pebble Beach Golf Links, Spyglass Hill Golf Course, and Monterey Peninsula Country Club. Book an AT&T Pebble Beach Pro-Am Shuttle with Monterey Airbus! Want to head to links yourself, you can also book golf transportation with plenty of room for friends and your clubs with our golf outing shuttles. Reserve your AT&T Pro-AM shuttle today. Big Sur International Marathon - April - The Big Sur Marathon has grown into one of the biggest events in Monterey Bay with over 4,000 participants every year. Save your energy for the rice with a marathon shuttle service! The race starts south of Pfeiffer Big Sur State Park and ends at Crossroads Shopping Center in Carmel, California. Additionally, a 5k, relay race, and power walk take place during the Big Sur Marathon. There’s also the Big Sur Half Marathon in November. Contact us about a Big Sur Marathon Shuttle - 3618 The Barnyard, Carmel-By-The-Sea, CA 93923. Pebble Beach Food & Wine - April - The Pebble Beach Food & Wine Festival is the can’t miss event of the year in Monterey Bay. Our festival shuttle services can make sure you enjoy yourself, while you leave the driving to us. The Food & Wine Festival is a 4 day event that features over 100 celebrity chefs and 250 wineries. Reserve your Pebble Beach Food & Wine shuttle service - Pebble Beach Resorts, 2700 17-Mile Drive, Pebble Beach, CA 93953. Subaru Sea Otter Classic - April - The Subaru Sea Otter Classic is the world’s premiere mountain bike event. We provide event shuttles in Monterey to the he Sea Otter Classic and more! The Sea Otter Classic has mountain bike cross country, downhill, dual slalom, and short track races. Contact us about booking a Sea Otter Classic car service - 215 West Franklin Street, Suite 214, Monterey, CA 93940. Carmel Bach Festival - July - A festival shuttle is a great way for groups to travel... don't miss a beat with Monterey Airbus! The Carmel Bach Festival (CBF) is a two week festival that takes place every year in Carmel-By-The-Sea, CA. The Bach Festival celebrates the works and inspirations of Johann Sebastian Bach. This classic music fest is held annually at the Sunset School Auditorium and the Carmel Mission Basilica. Find out more about reserving a Carmel Bach Festival shuttle. Monterey Auto Week - August - Monterey Auto Week offers a number of car events held in and around Monterey, CA. Our Monterey Auto Week shuttles can provide transportation to any of the auto shows around Monterey. The car events include auto auctions, The Concorso Italiano , and The Legends of the Autobahn. The Pebble Beach Concours d'Elegance is a charity event held every year in conjunction with Monterey Car Week, and features prewar and postwar collector cars. The Concours d'Elegance is the can't miss event of the entire week, and Monterery Airbus will help get your there. Don’t miss any of the auto events, contact us to book a Monterey Auto Week shuttle bus. Book your Concours d'Elegance transportation today. Monterey Jazz Festival - September - The Monterey Jazz Festival (MJF) is one of the oldest, longest running jazz festivals in the country. A Monterery Airbus is the perfect transportation for this or any festival in Monterey Bay. The Jazz festival takes place every fall at the Monterey County Fairgrounds. Reserve a Monterey Jazz Festival shuttle today! Call (831)-373-7777 or Book ONLINE and Save $5!